Summary: There is a large variety of construction claims, which can make it difficult to understand which type of claim you should be filing. Although you will not ultimately be the one to file the actual claim, it is still nevertheless important to understand your situation. With so many different kinds of construction claims out there, it can be confusing to clearly understand what sort of claim you should file for your particular case. Some of the most common construction claims will be outlined below for your education. Construction delay claims are those related to schedule delays. These claims are quite common with larger projects, as unplanned circumstances could impact the roadmap for a construction project. Construction delays can push the construction timeline back and can ultimately result in construction workers missing their projected deadlines. Breach-of-contract claims are those that oftentimes result from a contract issue. If the person who hired a contractor feels like the work the contractor did was done too quickly, did not meet his or her specifications, or simply does not meet the level of quality that the employer had in mind, then he or she would want to file an owner claim. It is crucial that the employer’s requests outlined in the contract signed by the contractor were not met, in order for such a claim to be filed. The contract legally obligates the contractor to complete the job he or she agreed to, and failure to do so can get them in legal trouble. A mechanic’s lien claim can be filed if the property owner fails to pay his or her contracted workers. If these contracted workers provide labor, equipment, or materials to aid in the construction of a property and they ultimately do not get proper financial compensation in return, then they are not receiving what they are legally entitled to. It is crucial to have a solid understanding of your rights as a worker, so you can be aware of when they are being violated. Blog submitted by Lyle Charles: Lyle Charles is a construction industry expert and his team offers construction claim analysis services. Visit him online to learn more. Claims in the construction industry have been increasing in popularity due to the complexity of building projects. It’s more or less become common in the working environment, unfortunately. Construction claims consultants have become invaluable due to the upward trend of drafting claims for the many inevitable faults in a contract. There are various ways to classify a construction claim, each one specifically targeting a certain area of the project. This categorization helps the construction claims management aspect by maintaining a well-organized plan. Contractual claims primarily deal with terms within the contract. Such things as: delays, valuation, and variation. Extra-contractual claims deal with a breach of contract. You can expect to see this type of claim filed if a project required more work because of the client providing defective products. Lastly, ex-gratia claims are drafted when the contractor believes that there is a justified call for action based on moral grounds. For example, if material prices were to suddenly increase; causing the contractor to go over the allotted budget, he could seek out a construction claims expert to have them draft a claim requesting the funds needed to resume the project. Consulting and hiring a construction claims consultant is recommended to help speed up the claim process. Also, by ensuring the claim is accurate and well-managed, there will be a noticeable difference in how effective it will be in the long run. The scale of projects has become larger – with that brings a larger pricing structure to work with. Legal approaches, by both owners and contractors, have become more policy-stricken and reliant on claims and claim management. Construction claims are known to be complicated. Not only that but when you involve the legal system and skip the settlement process, things can only get more stressful. 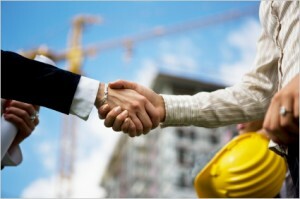 Construction consulting services help relieve the stress and pressure that is placed on you when dealing with a claim. Here are some common reasons why you should hire an expert. When lawyers handle the claim, it’s most likely going to be littered with verbiage that can be hard to grasp. Many times you will see a lawyer write claims that only other lawyers with experience would understand. This essentially keeps you out of the loop and can lead to misjudging the gravity of the situation. A simple mistake can cost you time and money. Construction consultants guide you through the claim and help you understand the ins and outs of it. The standards of the construction industry change due to the fast-paced business environment surrounding it. Don’t get left behind and make the wrong decisions. Claims consultants will help suggest the right courses of action to make for each type of claim. Negotiations are vital in a successful claim. There are times where the claim won’t even make to court saving you the stress of stalling a project. The best resolution will come from the best negotiations. A deep analysis of your case is also recommended to understand the needs and volatility of the claim. Seeking out construction consulting will give you peace of mind as you won’t have to make decisions that could affect the outcome by yourself. This entry was posted in Business Services, Finance, Legal.